Hope you guys find it useful! Have fun making great music! • I grouped the Kick, Hi Hat Loop and Claps. • First I used the Soundtoys Decapitator for saturation to make it a bit dirty. 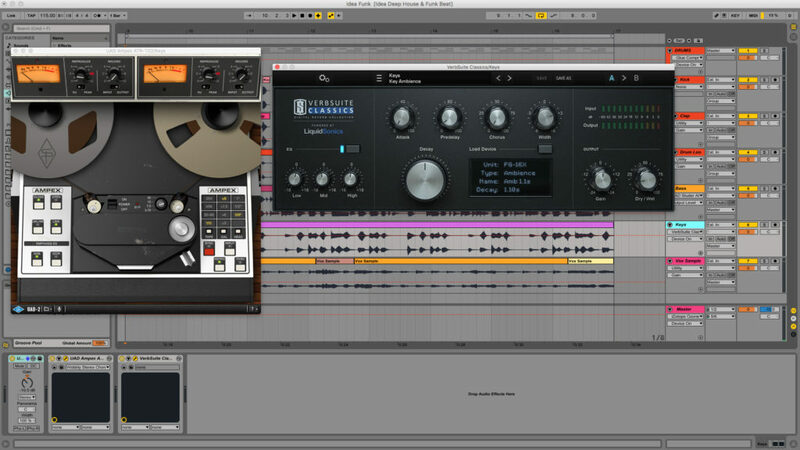 • Then I used a Universal Audio Studer A800 for some tape saturation and compression. I pushed the tape plugin pretty hard, but it’s 40/60 parallel mode. 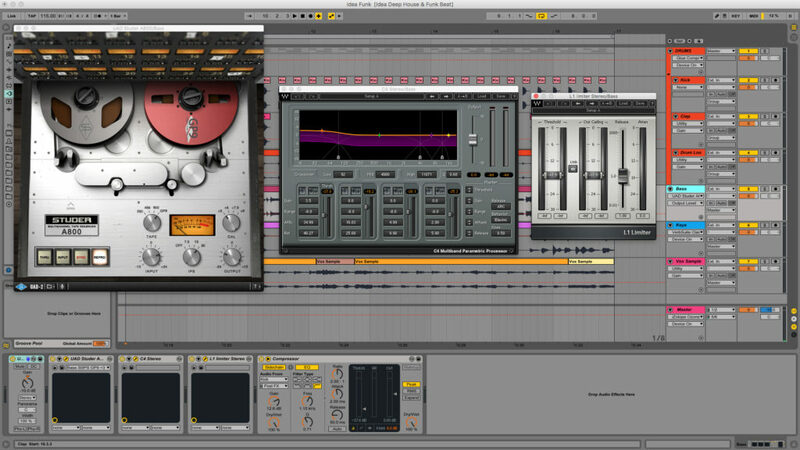 • Then I used the Glue Compressor in Ableton, which is made by Cytomic to glue things together. • I did not do any processing on individual channels. The samples sounded pretty well treated, so I didn’t feel the need to process them individually. • An important note: I used a utility plugin to drop the level -10dB before hitting any plugin. 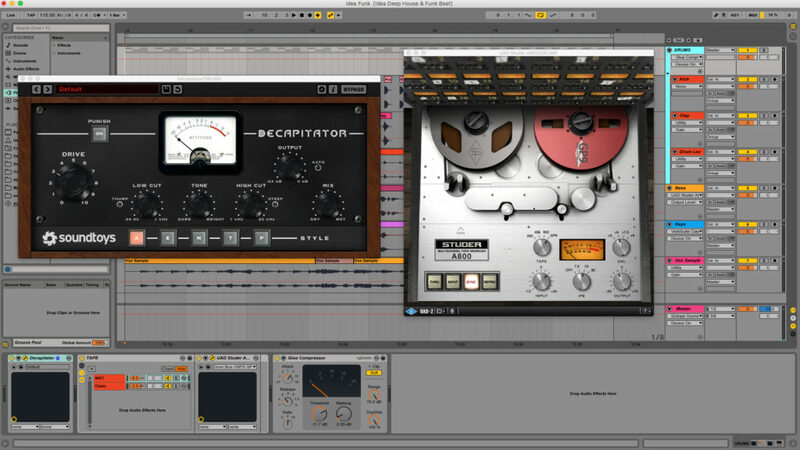 Since I’m using “analog” modeled plugins, it’s important to have good headroom. And this is the case for every channel. • Universal Audio Studer A800 was the first plugin I used. I pushed into it pretty hard, but this time it’s not in parallel mode, because I wanted a good amount of tape character. • Then I used the Waves C4 Multiband Parametric Compressor. I wanted a bigger low end, but controlled. So I compressed the low’s just a bit and pushed up the gain. • I used the Waves L1 Limiter at the end of the signal chain to level out the peaks just a bit. • After I was done processing the signal, I did some light side chain compression against the kick to help the kick stay present in the mix. • First in line is the Universal Audio Ampex ATR. This time I used the tape plugin for wow and flutter, it almost gave it a chorus effect and made the keys wider in a nonlinear way. • Then I used the Slate Digital Verbsuite Classics Reverb Plugin powered by LiquidSonics. I used it as an insert to put the keys in a larger space. • On the master channel I have the Glue Compressor compressing just a dB or 2, nothing major. 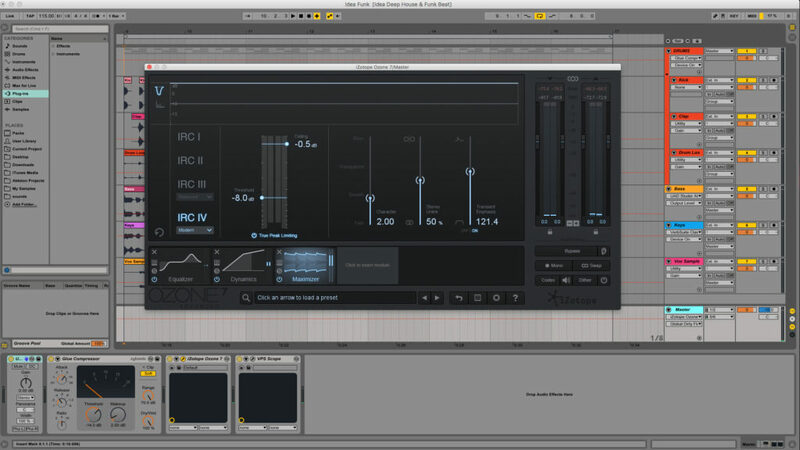 • What’s doing the heavy lifting is iZotope’s Ozone 7. • First I did a bit of EQ, filtering out some of the super low’s and super high’s. • Then I used gentle high and low shelf filters to boost the lows and the high’s. • Next, I used a multi band compressor for some transparent compression. • And last but not least I used the Maximizer to give it some volume.